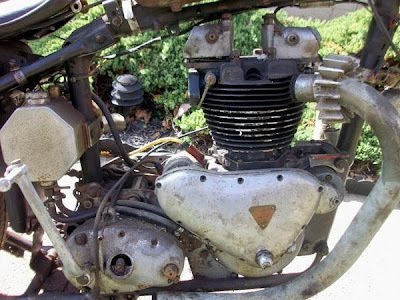 1954 Triumph T110 - It's getting harder and harder to find Triumphs in this price range. Especially a Pre-Unit. 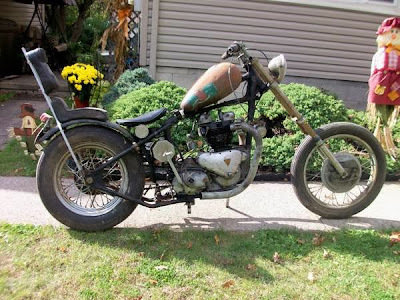 I wish more of the bikes getting chopped today started from bikes like this. Tiger Chopper Project. Good Winter Project - Many Good Rare Parts. Magneto-Generator Your Choice of GME Gas Tanks. Clear Ohio Title- "Homemade" - ASSEM IN 1978. Have Rear Section & Swing Arm - Amal Monoblock Carbs.